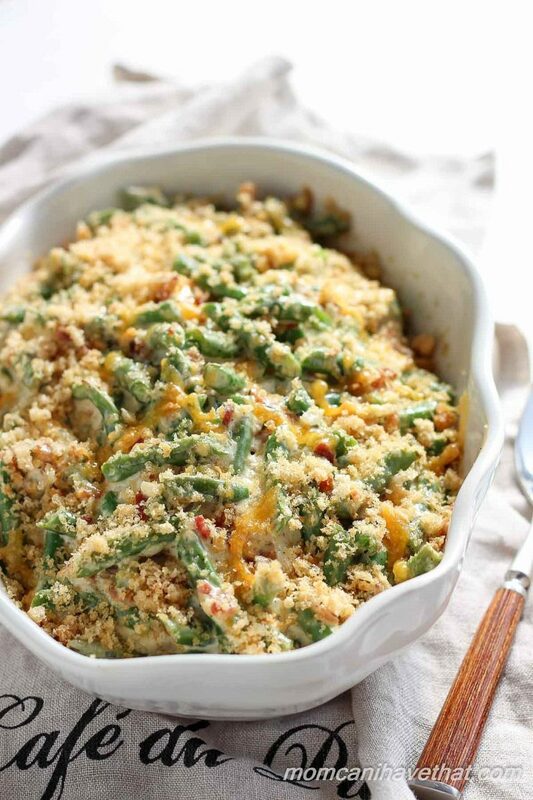 This low carb Supreme Green Bean Casserole is everything the other one wishes it was: rich, creamy, flavorful and made from wholesome ingredients – oh! and it’s keto & gluten-free! Green bean casserole. Is there any side more iconic around the Thanksgiving, Christmas and Easter holidays? I don’t think there is. Developed in the Campbell’s test kitchen in the 1960’s as an easy side for the home cook, green bean casserole is a side that many people wouldn’t do with out during the holidays. 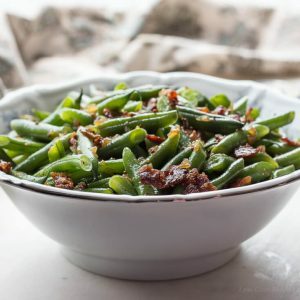 For those who are not familiar with this popular American side, the original recipe called for canned green beans, canned condensed soup, canned french fried onions, milk and soy sauce – all thought to be staples found in most American pantries at the time. Over the years, many variations of green bean casserole have been developed by creative cooks and this version, Green Bean Supreme, is one of my favorites. If you are interested in reading about the history of the green bean casserole read this great NPR article. I’ve been making this version of green bean casserole for several years now. My mother-in-law introduced me to the original recipe which calls for flour – not gluten-free or low carb. My recipe is gluten-free and low carb, and it’s amazing. The green beans are perfectly cooked and the casserole is made from wholesome ingredients. I like to use fresh green beans, but I suppose one could use frozen or canned. The longest part of preparing the dish is trimming the beans and cooking the bacon which I often do the day before. The beauty of this Supreme Green Bean Casserole Recipe is that it can be prepped 1-2 days in advance and sit in the fridge until you’re ready. And since the base is mainly a thick, creamy, cheese sauce – it’s easy to prepare. If you do prepare it a day or two ahead make sure to heat it up for about 8 minutes on low power in the microwave before putting in the oven. Why? This supreme green bean casserole doesn’t cook in the oven but rather heats through to bubbling. I absolutely love it and my family does, too! 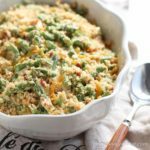 This low carb Supreme Green Bean Casserole is everything the other one wishes it was: rich, creamy, flavorful and made from wholesome ingredients - oh! and it's keto & gluten-free! Prepare: Preheat oven to 350 and position the rack in the middle of the oven. Butter an 8x8 oven proof casserole dish. Supreme or Creamy Cheese Sauce: Heat a large skillet (I use a non-stick) over medium high heat and add the bacon drippings when the pan is hot. Add the minced onion and saute until translucent - about 2-3 minutes. Then add the garlic and saute for 1-2 minutes until soft. Turn the heat down to medium and add the parsley, lemon zest and wine. Saute for about a minute or until the smell of the alcohol has burned off. Add the softened cream cheese and break it up in the pan so that it melts more easily. Add the chicken broth little by little and whisk to combine until the cream cheese has melted. Turn the heat to medium-low and let the sauce bubble a little to combine flavors and thicken slightly. Add the cheddar cheese, Worcestershire sauce, Dijon mustard, salt and pepper. Whisk and taste to adjust seasoning. Note: make sure the beans are cooked to your liking before adding them to the cheese sauce - OR - you could let the casserole cook longer in the oven. If the sauce is too thick for you, add 1/4 cup more chicken broth next time. It will be solid when refrigerated. Reheating will make it loose again. Delicious! 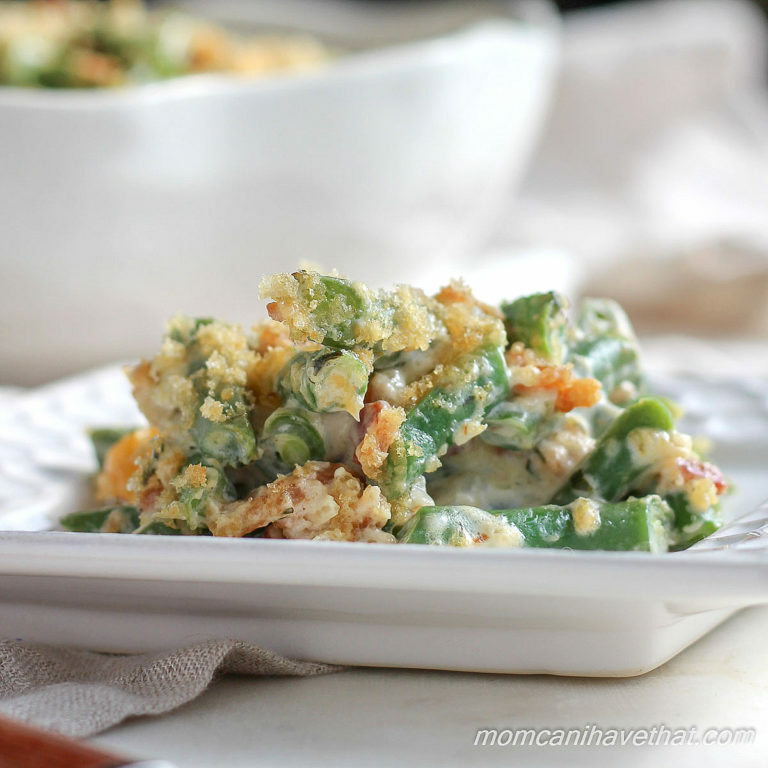 This recipe makes me crave green bean casserole. I didn’t have any cheddar cheese, so I used all cream cheese, but I can’t wait to make it with cream cheese cheddar mix! Winner! Used powdered mustard instead of Dijon and about 1/8 cup of Italian breadcrumbs with garlic powder and olive oil for topping (adds approx 2 carbs per serving). Frozen green beans steamed for 7 minutes in the microwave. Perfection! Between this and some cheesy cauliflower mash I’m already imagining a perfect Keto Thanksgiving later this year. Did I mentioned we devoured it all? This was just about the best thing ever. I made this tonight bc our keto routine was getting boring. And my husband has been raving about this since he took the first bite. I will admit, I went a little rogue with sauce bc I added too much mustard so counter balanced with more broth and cheese. I also didn’t use white wine, I used broth. Soooo good! Will most definitely be making this again! 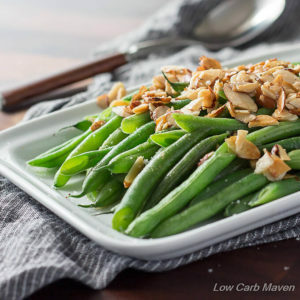 what are your thoughts of using the thin green beans with this recipe? Loved the Supreme Green Bean Casserole and the people not on diets liked it too for Christmas. Thank you. This is the best green bean casserole ever!! Made this for thanksgiving since I’m on keto and everyone loved it! Now they want me to make it again for Christmas Eve. It’s so yummy I don’t mind. This looks fantastic, and I’m cooking it for tomorrow. I’m debating whether it might be easier to assemble the casserole and refrigerate overnight, then actually cook it at my in-laws before dinner tomorrow. In this case, maybe leaving the topping off until just before baking. Have you tried this, or do you think prepping this dish ahead would work well? What brand is the cheese sauce? Hi Kim, would you recommend good brands of pork rinds, and low carb bread crumbs to get? Tried this out for meal prepping, and let me tell YOU, this is absolutely amazing!!! I let my parents try a little bit, as they’re not familiar with green bean casserole and I had to stop them from eating their plates too. 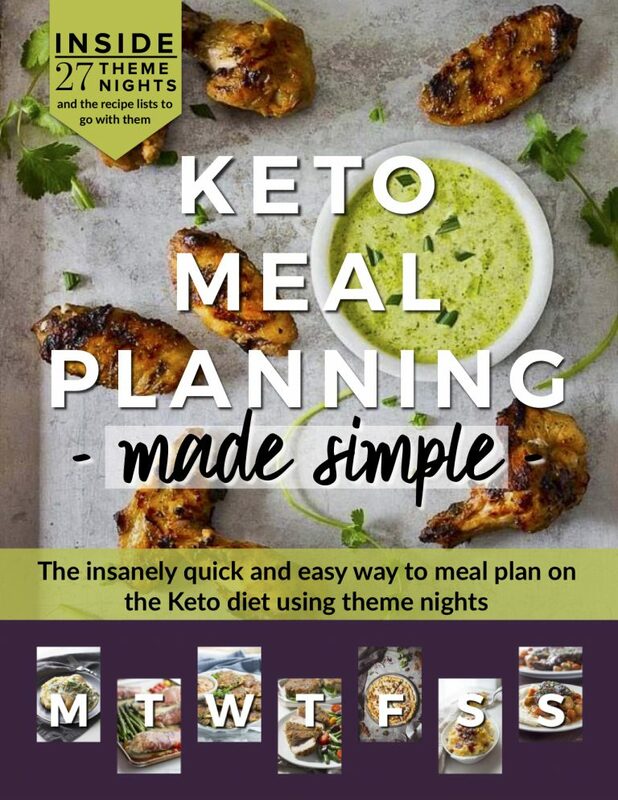 Must try, great recipe and I’m glad this is keto friendly. Thanks Kim! This was very good. My picky husband went back for seconds. The only thing I would do differently is not so much salt. Will definitely make this again! What can I sub for the wine? This recipe turned out amazing! Comfort food without the carbs. I only modified it where necessary to make the recipe vegetarian: (no bacon, butter instead of bacon drippings, vegetable broth instead of chicken broth, homemade fried onions for the topping instead of the pork rind topping). I guess that probably actually changes it quite a lot, but it came out amazingly similar to my grandmother’s green bean casserole, which just happened to be vegetarian way before “Meatless Mondays.” My husband loved this recipe too! His only critique was that the Dijon is a bit overpowering, so I am going to cut it down to 1 tsp. instead next time. I will definitely be making this again. To was looking to see what replaced the onion rings on top. I made a more traditional gb casserole the other day with cream of onion soup and Aldi’s frozen green beans. If you don’t have fresh they are great and can be defrosted and eaten without cooking! I’ll be saving this to try soon. Also, homemade fried onions are SUPER easy to make! 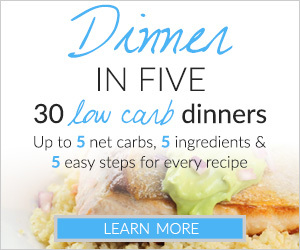 I use this 2 ingredient low-carb recipe from the NYT. Excited to try this! Any ideas on substitutes for the pork rinds? I like pork rinds but part of my family is jewish, so the bacon and pork rinds are a no-go. not using the bacon in the recipe is not a problem but not sure what else to use for a topping to keep it low carb and kosher! pan fried shallots? that’s what i’m going to try. How many servings do you count for this? What’s the serving size? I looked but couldn’t find it. But how many does it feed? In your family? Green bean casserole isn’t a side dish that we have for Thanksgiving but when I saw this recipe is sounded so good that I had to try it out this year. It was a huge success! Everyone loved that it wasn’t like the traditional green bean casserole. I’ll be making this as a side dish often. I did top it with French’s onions but only because I just love those crispy little things lol. Thank you! I’m looking forward to making more of your recipes! Made this for Thanksgiving for my husband who is borderline diabetic. It was a real hit. Thanks for the wonderful recipe. I really like this, but it’s a different flavor than the mushroomy traditional green bean casserole. I think next time I’ll use just a little cream cheese and make a mushroom sauce with heavy cream. Very tasty, though! All I’ve done so far is lick the spoon with the sauce and it’s delicious! 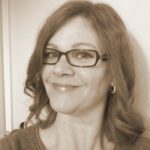 I’m newly disagnosed with gestational diabetes ( right before thanksgiving, ah!) and this recipe is incredibly helpful to make a low carb adjustment to one of my favorite sides . ( I’ve also made your rolls which help curb my bread cravings) thank you! This recipe is great. I’ve made it twice now and it’s perfect as is. That being said, and bc I’m a glutton, I use a full 8 oz cream cheese and 4 oz cheddar cheese. I’ve been out of Dijon mustard each time making and substituted spicy brown instead. Delicious recipe. Thanks so much for sharing! I can’t wait to make this dish for Thanksgiving. I am making this the night before and wondered if you fully make the recipe from start to finish and then just reheat it in the micro & oven before serving? Or if I should just assemble everything in keep it in the fridge overnight. On Thanksgiving, I could add the pork rind topping and bake the full time. I am worried if I make it start to finish the day before, that the topping will end up soggy. What are your thoughts on the best way to do this? I was wondering if there was any way to lower the carb count any more. 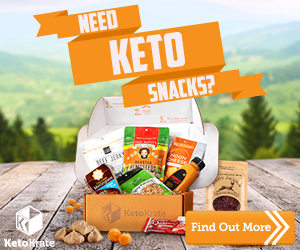 I don’t want to take a lot of insulin this thanksgiving and am looking for low carb options. Do you have any other recipes for low-carb thanksgiving food? Thanks! I’ve been looking for a more “updated” version of a somewhat “dated” Thanksgiving tradition to add to my menu this year, and I have found it!!! I love the low carb aspect of it, and the more modern, yet very rich and still traditional recipe! I also love using fresh green beans. My family is not keen on most canned vegetables, and we choose fresh over frozen whenever possible. 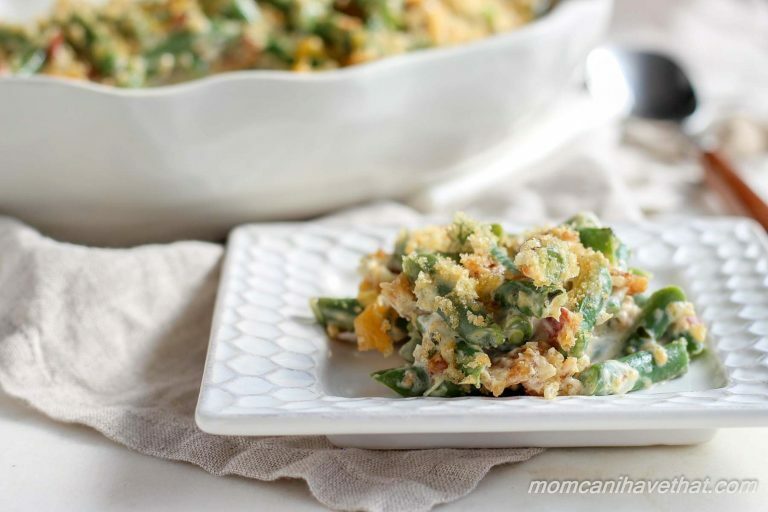 There is a versatility to this recipe that wasn’t there for the original, old school green bean casserole, which while I probably will not deviate from this recipe, it seems there is wiggle room for adjustments for taste and dietetic needs, which is awesome. Cannot wait to add this to my Thanksgiving table, and can’t wait to see the reactions to it! This sounds absolutely amazing! Thank you so much for sharing!!! Have a wonderful Holiday Season!!! Can you make this recipe in advance and freeze it? How would you do that? This sounds amazing! It’s bean harvest season right now so I’m looking forward to making this! One question.. I don’t drink wine or vermouth, and don’t really want to buy any just for the recipe.. is there anything else (preferably non-alcoholic) I can sub instead? I plan to make this for Easter dinner at my MIL’s house (after a test run, of course!). I think it’ll be a great fit because I eat low-carb and she needs something gluten-free. One question – how big a casserole dish should I use? Would 13×9 do it, or should I use something smaller? Thanks! I tried this for today’s Thanksgiving feast, and they were amazing. They were the favorite low carb side dish at our table. I used carmelized onions mixed with crisp bacon and Parmesan cheese for the topping. So delicious! Is there any way one could make this in a slow cooker? If so, how? THIS is definitely getting made for Thanksgiving! Thank you for the recipe!! I’ve never tried pork rinds. I’m afraid to lol. Are there “low carb” breadcrumbs? Thanks for the tip about cooking bacon in the oven. Only discovered this recently and will never go back to stove top or microwave! I don’t think I can wait till Thanksgiving to make this! Yum!! I prepared this dish to accompany baked chicken and a green salad. It was awesome! So decadent and full of flavor. Thankyiu ffor sharing this great recipe! Thank you for posting this recipe, I can’t wait to try it!! Have a wonderful time with your family, Merry Christmas!! That’s a one gourmet casserole! Looks so tasty and rich, and it being low carb and gluten free is certainly a bonus! Yum, those crushed pork rinds on top of the casserole look delish! I read the NPR article that you linked to. Those days of ‘open and dump’ are over, I hope. Reminds me when I was a teen-ager and used to open a can of Campbells soup and mix it in with something and call it a dish. It looks like you’ve been quite busy Kim- doing a new post every several days!